Roses are as evocative of a British summer as strawberries and cream. It’s easy to see why the rose remains the nation’s favorite flower – for beauty and scent it’s hard to beat. 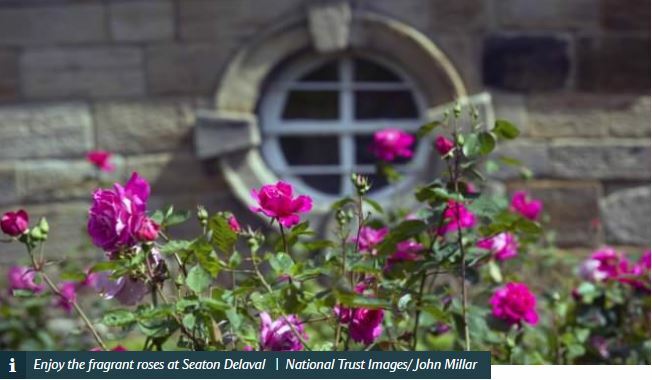 We work hard to preserve and maintain the rose gardens in our care. Here are a few of our favorites. Roses were the favourite flower of Lady Evelyn, the wife of the 9th Duke of Devonshire. 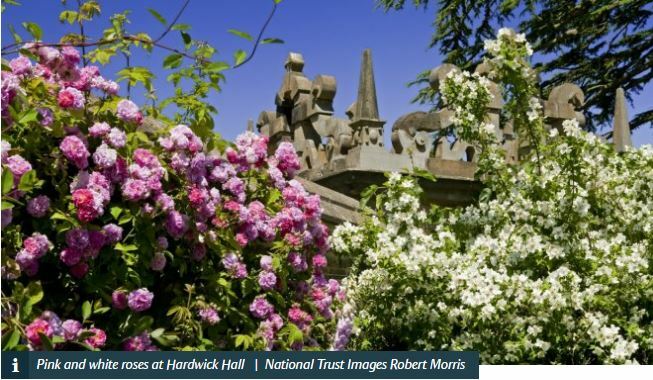 She introduced a collection of shrub roses into the borders of Hardwick’s East Court during the 1950s. You can still see how her influence continues in the gardens today. The rose garden at Mottisfont was created by our first gardens adviser, Graham Stuart Thomas. It is home to over 500 rose varieties and was originally built to house Thomas’ collection of old-fashioned roses. Visit during the summer months to enjoy the delicate blooms and beautiful fragrance. 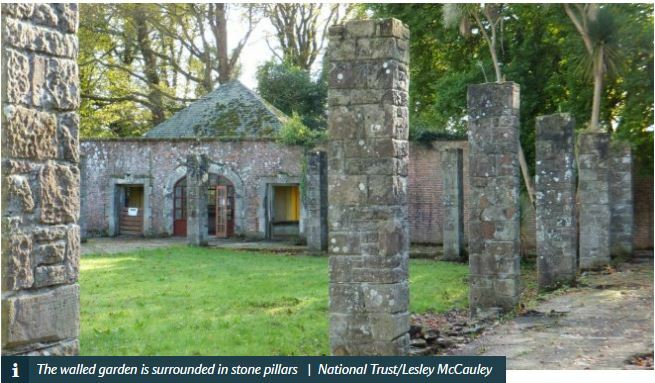 At the top of Mount Stewart’s lake walk, you’ll find a path leading you to what was once the rose garden, dairy and vinery. We’re currently restoring the historic garden, which will eventually house an extensive collection of the best-scented period roses. Although it’s a work in progress, the team have already planted some roses; the first step in bringing this fabulous garden back to life. 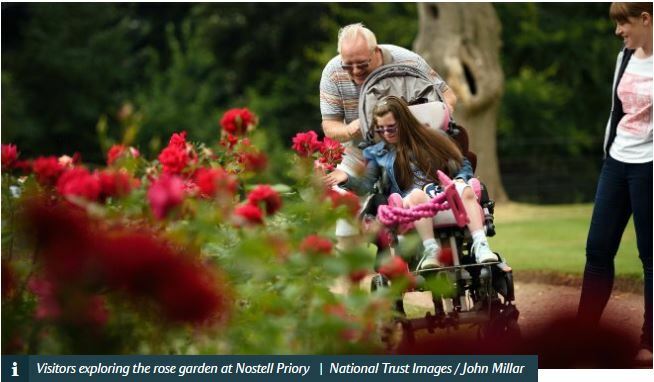 The rose garden at Nostell has a long history, as the Winn family used to breed roses to sell to the public. Today the garden is still filled with beautiful roses, including the red National Trust rose, fragrant Cloud rose and the pale pink Prima Ballerina rose. Don’t miss the 100-metre stretch of white flowering iceberg roses, which were planted by Nostell’s Garden and Park Manager Paul Dibb and his wife, when they were both apprentice gardeners in the 1980s. 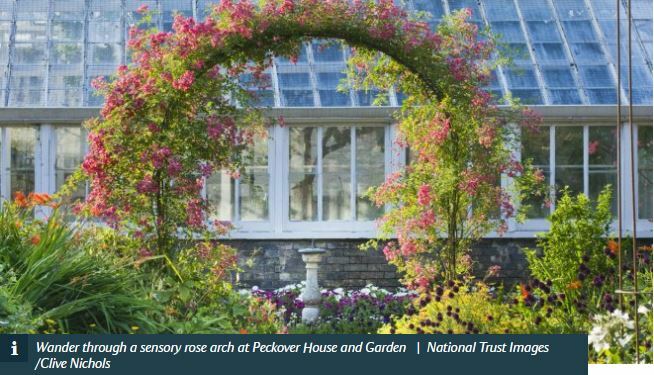 Peckover is home to over 60 types of rose. Most are the fragranced old English varieties beloved by the Victorians and Edwardians. Alexa’s Rose Garden is named after the Hon. Alexandrina Peckover, who gave us the house and grounds in 1943. 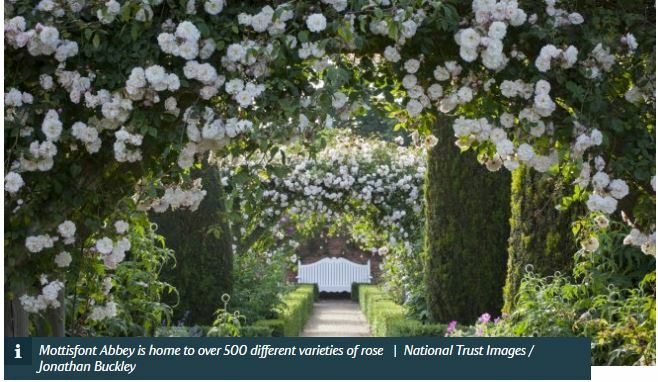 The traditional English rose garden is the star of Polesden Lacey. It was created by famous society hostess, Mrs Greville. 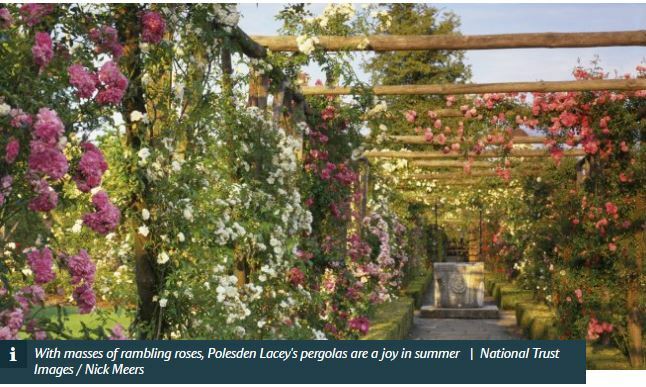 In summer the pergolas are covered in pink and white rambling roses. These are set off by colourful clematis and banks of fragrant lavender. This rose garden contains several varieties chosen for their beautiful foliage and fragrant scent. In summer they provide eye-catching colour, from the dark pink flowers of Gertrude Jekyll to the coppery orange and yellow of Just Joey. The rose garden was created by Lady Hastings during the 1950s and 1960s.